Season chicken with salt and pepper to taste. Stuff with the onion and rosemary. 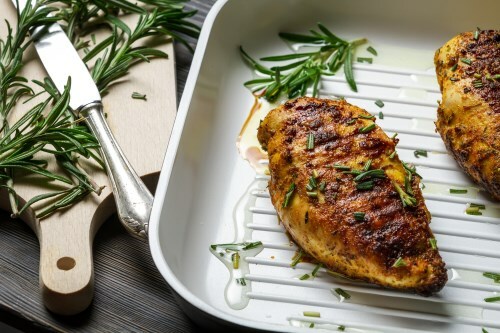 Place chicken in a 9×13 inch baking dish or roasting dish.